Can we please have some quiet weeks? It isn;t a morning as others, cause I am feeling a bit worried about Jan. I told you he caught a cold, well, that I think is a bit better, but I didn;t tell you all. You know he has to go for an MRI scan on Monday, no problem with that. 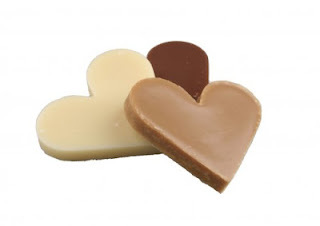 But as my husband is a stubborn man and doesn;t tell me all about his health, finally yesterday evening he told me it wasn;t going 100% with him. He had a bit of inflated feet, caused probably by fluid. He already takes medication to avoid that, but lately I noticed his belly got bigger than usual and then you should think: "okay, he has gained a bit more weight, which can happen from time to time". But that wasn;t really the case, if you look at him and the rest of his body stays almost the same. Hmmmmm, I don;t like that, so already told him he should call his doctor just for assurance but no, not necessary he says. But this morning he asked me to call his agency and tell them he is feeling sick, so he cannot come to work. Then he must be feeling really bad. So I also said him, I want he calls his doctor too, today, and not wait till he goes for the MRI on Monday. He didn;t say yes or no to it, so that will be a battle for me to fight today! But I don;t want to wait till Monday or even wait two more weeks till he goes to the result appointment. May be I worry too much(I have that problem sometimes LOL), but I think it's better to talk to his specialist one time too often than wait and get nervous during a few days. Men are really acting weird sometimes, and we have to cope with it! Hard to explain what is the matter with him at the moment, but one thing is sure, he isn't feeling well, and I feel so sorry for him. He just got well on track with his work and was rather happy with it, and now this again. Damm................d! We did see at the news a bit of the terrible damages storm Sandy has caused! Every time again it is frightning to see, how powerful nature can be. Bit talking like a headless chicken I am afraid, but that's because I am not feeling at ease at the moment. Hope you can forgive me. Let's go to the freebie and I will finish this post, hoping soon I will have some better news. 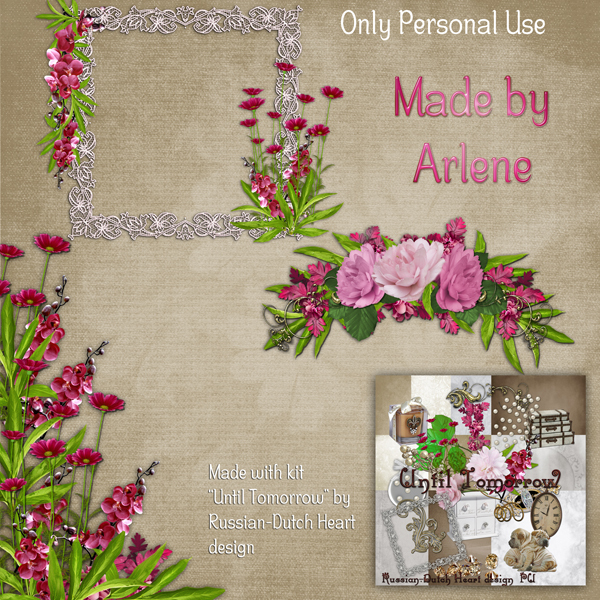 Kit is named "Until Tomorrow"and matching clusters from Arlene. Today might be day of truth LOL! Today it is raining, at least at the moment, and it might continue all day, if we can believe the forecast. But......... in a way I am glad, because then we can check if the rain stays outside LOL. Jan and nieghbour of 1st floor still have to replace a part of the waterpipe near to our appartments. It's partly also and old pipe, so better replace all now, to be sure. I am not yet jumping around of joy, but it looks as if the plumber's repair is the thing! Thats the biggest and most important news of the weekend, hahaha. Rather poor but yet important. Jan had to work morning shifts this weekend, and I felt sorry for him, cause he had to cope with a cold, it seems. Not yet gone completely, but I am glad he has his day off today and I urged him to take tomorrow to as day off, so he will have two days to recover from the shifts and his cold. Hopefully that will help a bit, he is so aweful stubborn that guy! Hard to tell how he is feeling, almost never says a thing and when I ask him, he gets annoid and always answers: "Oh, all is going very well". ( he even would say that if he was crawling around with an injury or whatever that caused a lot of pain,). I should know by now after 20 years, not to ask, but I am concerned, of course. Well, I coped with that all that time, so I will continue doing it LOL! Yesterday I really had no idea what to cook for dinner. At times fantasy really lacks, you know! But of course I came up with something. It was a great thing to get rid of all "left overs". I had a bit of mushrooms, and paprika left, and they had to be used soon. So I bought some ham and grated cheese and made an own style of pasta. Cook the pasta and in the mean time cut the paprika rather fine as well as onions, the mushrooms, the ham. Stir fry the onions and paprika first in some oil, after a couple of minutes add the mushrooms. At the last moment add some pressed garlic(I like to be it a lot LOL). All has to have still a little bite. Pasta should be ready, so let it drop off the water and put it back in the pan. Add a few drops of oil and a little cube of butter. Then add the mishmash of the veggies, and the fine cut ham too, bit of pepper and salt some basilicum, and a nice quantity of grated cheese. Stir it well together, put in an ovendish and on top a nice coat of greated cheese. I made it already in the morning so had to warm it in the oven. Oven on about 200-225 degrees, first the pasta covered for about 20 minutes and the last 10 minutes remove the cover, so that the cheese on top can melt well and takes a bit color. We added a saucage to it and it tasted really well! I made a rather large protion, so today I have an easy job, we eat the rest of the pasta, with perhaps an omelet or a hamburger, or whatever comes into mind. 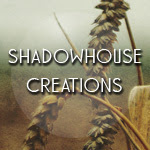 This should be more a blog about a bit of my life and about scrapping and designing stuff for it but at times it looks more to be a cooking blog LOL! Not so strange, because I like to cook, normally. 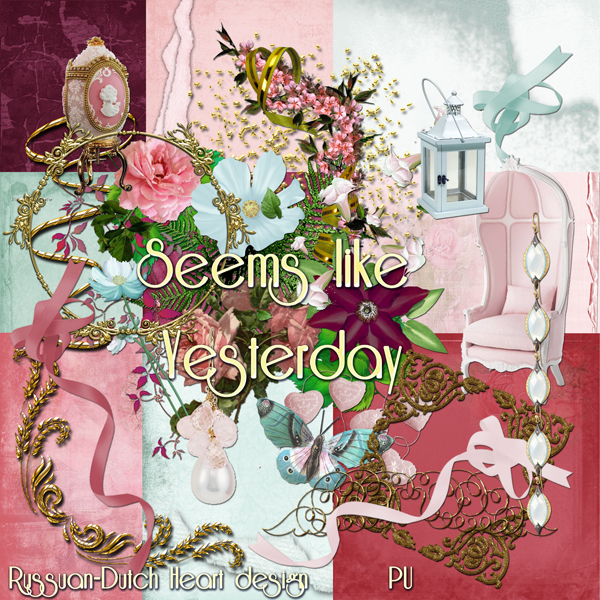 There are days that I don;t like it, then it is a necessary thing to do, and then I throw some quick things together and that's all. It really is getting colder around here! Even saw on the hews, that in France and Germany there are parts with a lot of snowfall, which is still very early for those regions. And in the Eastern part of Holland there is already a bit of frost during the night. Yak, it's not my favourite kind of weather, but alas, we will have to cope with it. Just hope we won't have to much frost and snow, specially now that Jan is a lot on the road. He cannot have too much ice and snow on the road, which will make it almost impossible for him to do his job! I always end up with a longer post than I wanted ROFL. So better I finish up now, and get a few things done around here. 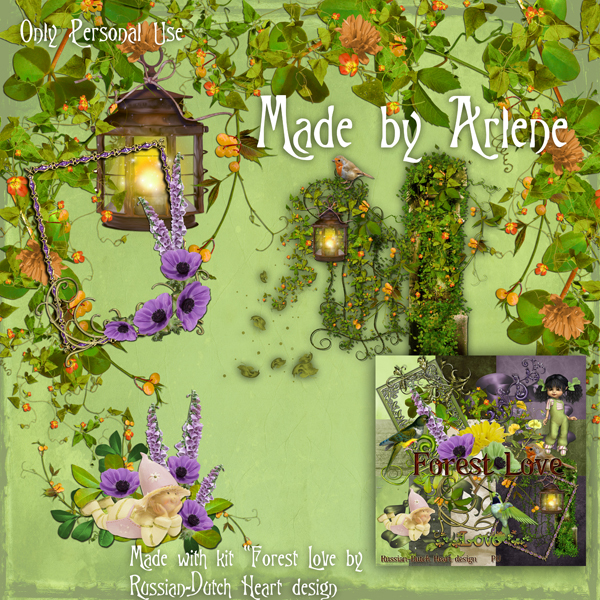 I have a kit for you in a one color palette today, with some awesome clusters from Arlene. Kit is named 'Royal Red"and I hope you can use it for some layouts. Not the easiest color, but I know you are inventive, so hopes are high, grin grin! Have a wonderful day, and stay safe! I think this will be a short post, not really too much to tell, apart of the leak trouble, that seems to reach a solution and fix. It needed and probably will need some more phonecalls by me, I seem to have become a sort of intermediaire. Hmmm, not my favourite job, but okay, it has to be done. Hoping to make appointment with plumber this afternoon about the day he can come to repair it. In between everything of the household and intermediairing, I seem to have still enough time for designing. 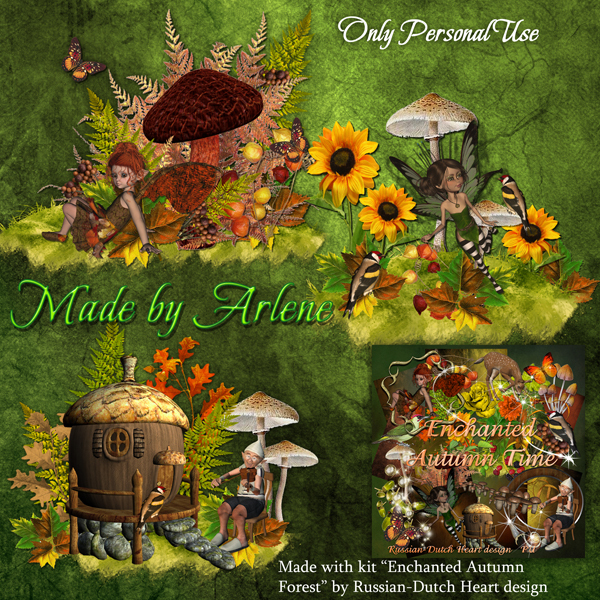 And oh my God, Arlene and me we are in full speed!!! You should see what we have in store for you of Christmaskits already! Yeah, we are early, but its great. And everynow and then there also comes a general kit out of hand and brain LOL. Yesterday we had fish for dinner and I think I already gave you a recipe for that, but I made it a bit different this time. I like to experiment a bit and sometimes combine two recipes to one, it often depends on what I have in the fridge you know. Had a bit of celery left, so cut that up in real fine chinkies. I had red paprika, so cut up two of them too in small chunkies. Those together I fried in a bit of oil in a pan, just enough that they have still "a bite". Added some garlic to it and put apart. Then made a bit of chicken broth, oiled in a baking dish, put on bottom the celery and paprika stuff, then the two fish filets, (salted and peppered a bit), then added also some basilicum(fresh is best, but dried one is ok too), and slices of tomatoe(you can also use little cherrie tomatoes cut in halves). Added a bit of chicken broth don't cover all the fish with it, just add a little bit! )and put that in the oven on about 225 degrees. Cover it for the first 25 minutes with a sheet of aluminium foil. Check after that time if fish is ready, when almost ready, cut some slices of brie or camembert(thin slices) and put that on top for about 10 minutes. It was delicious! and you can also use another fish for it, as long as it has a bit sturdy flesh. Give some potatoes, or mashed potatoes or even rice to it and tadaaa, dinner ready! It seems I am again in a kind of cooking mood lately LOL. But I like to try out things, so you can have some great variation without too much trouble. I think soon I will try out a recipe for a meat loaf with spinache, ham and something else(but I forgot now) and I have a couple of recipes more i found and will give a try. If it's any good and not too difficult to make, but with an enormous effect, I will write them down. Well, time for me to get a few tedious things done here, yes, housekeeping and things linked to that, brrrrrrr, so let's put on a freebie or two for you. 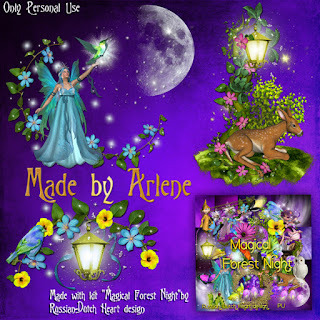 What about some magical fairy stuff??? 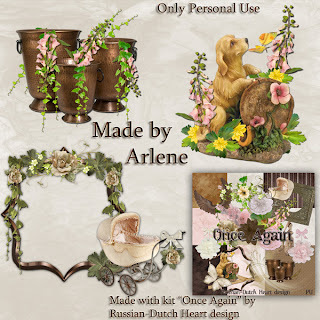 A great kit I think, well, I am pleased with it anyway, ROFL, and some fantastic clusters from Arlene! 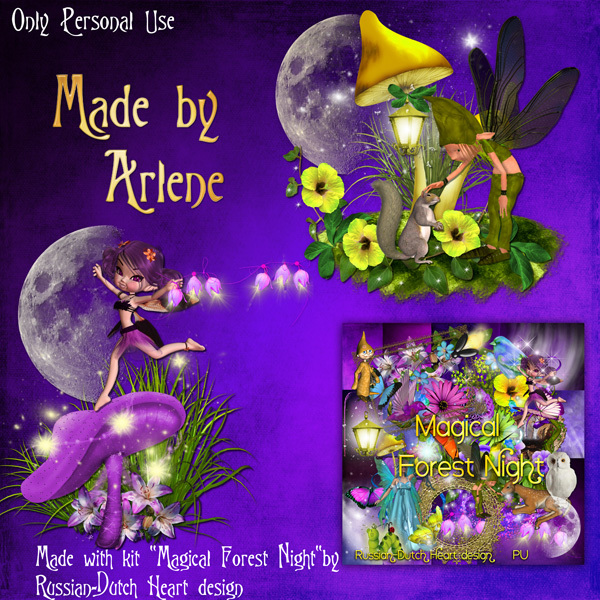 Made you 2 preview of the kit, "Magical Forest Night", one of the whole an one of the papers and Arlene's clusters neede also two previews to do them a little bit justice. 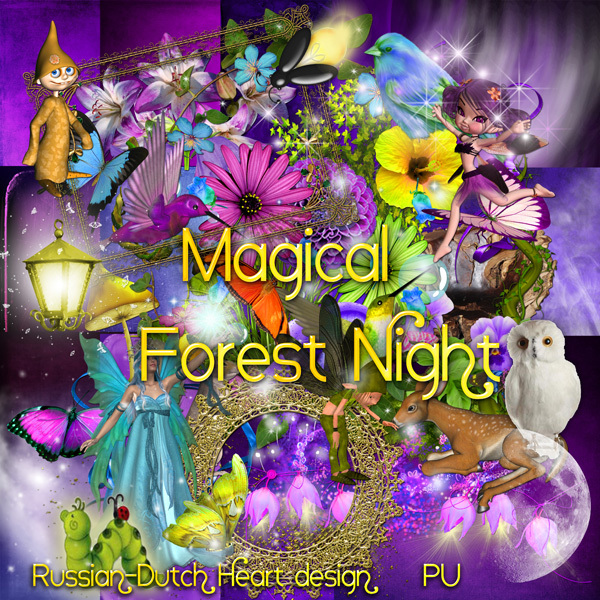 Hope you can have a "magical weekend"with it and see you again on Monday! I saw the sun yesterday LOL! It is waking up early all week, because Jan has all days morning shifts. It isn;t so bad to get up early, it is done easier when a whole week is at a same schedule. I hate those changing shifts, one day morning the other the evening, in that way you never come into a certain rythm. But we are lucky this week. And it's also nice, because you still have a big chunk free in the afternoon and the whole evening. we have a date for his MRI finally, it will be on the 5th of November. Glad it is rather soon, I just hope the results will be without striking news, you never know with such a thing. Then he has to go back to his doctor two weeks after to hear about the results. You'll never gueass what is going to happen today! Yeah, I managed to get hold of 2nd floor neighbour, to make an appointment for today for roofgutter repair, and also got hold of 1st floor neighbour for it.Husband of the 2nd floor is home all afternoon, 1st floor guy wasn;t all too happy, but finally agreed to come late afternoon. Now here is hoping it will get fixed good enough, then only there is the rest of the pipe to replace down to the ground floor, but that's the easy part. Oh my if it might be true, that all can dry and stay that way, how happy I will be! It was real nice weather yesterday, morning a bit cloudy, even a few drops of rain, but later in the morning the sun peeped out. So I went out then to do some shopping, it was a great temperature. I also managed to wash the new load of laundry, had a sweep with the vacuum cleaner and gave the wooden floor also a quick cleaning. And I also made for the first time fondant(or is it fudge???). It is very sweet, but you can make it a bit less if you want, but oh, I just LOVE that candy, which is usually made around our Sinterklaas holiday, on the 5th of December. I still remember the one an auntie of mine made, lots and lots of years ago, she made it with dark chocolote taste, yummie!!!! And it turned out already not bad, Jan said he gave me 7 points for it, well???? Next time I will use even finer sugar for it, and some more chocolate in it. 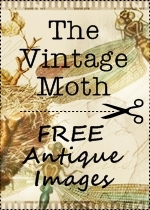 Oh, before going on to freebies download, first I have some blogs for you to go to, for either some great layout or some real lovely freebies. Scroll down a bit on Edna's blog! Now my freebie, and Arlene's too! 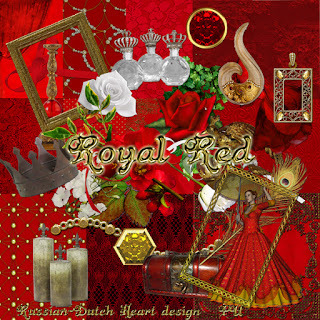 We both are rather busy with some Christmaskits and matching clusters, but they will not be posted yet, of course. I think that will be at the start of December. But don;t worry, there are plenty of "general kits"in store LOL! Today a soft pastel kit, named "Seems Like Yesterday". Have to do a bit of ironing today, it's not too much, so plenty of time probably, to do some designing too! Have a great day, take care! Solution leak may be near! Right on to the thing that is occupying us the most lately, the leak! I finally maganed to get hold of our neighbour 1st floor and also from the 2nd floor. Yesterday afternoon Jan went to 2nd floo neighbour with the 1st floor one. They took a good look at the gutter and pipe on top of the roof and after some talking it is probably a small repair, that will be done by 2nd floor neighbour. Then Jan can fix the bad part of the pipe between our house and 1st floor neighbour, probably this nieghbour will give a hand too. We only have to wait for a coupe of days without rain, so it has time to dry up and then repair can be done. At the same time that Jan will change a part of the pipe near to us, he also will make some minor, but important repair to the wall, fill up some cracks and hopefully then all the misery will be finished. Then our wall in the kitchen can dry up too, then I will first give it a good wash with a strong bleech solution, and then give it a new coat of paint. So cross fingers that this all will be reality soon (first that it will stay dry for a day or two LOL)and that we don;t have to look up to the ceiling/window and part of the wall, where it was soooo watery lately! Yeah!!!!!!!! Glad that neighbour 1st floor is handy enough(probably) to do it himself, that saves us a lot of money(all three of us) nothavning to hire a plummer for it. Now we will only have to share the costs for a bit of material, which isn;t really expensive. It was a good thing Jan had a day off on Saturday, after again a double shift on Friday. He really needed that and it was nice to be together in the evening. Then yesterday morning he had a shift to do, butthat wasn;t a very tiring one and he was home rather early. Today is his usual free day, so he can gather some new energy for this week. Till now, he hasn;t much shifts scheduled, so I hope there will be coming a few more today and tomorrow. They said on the weather forecast, that in the weekend and even a couple of days at the start of this week, weather would be rather nice with some higher temperatures, but I didn;t see too much of it. There wasn;t as much sun as told, although the temperatures wasn;t too bad, but not as good as predicted either. Perhaps we have more luck today. I do hope so cause I have to go our for some groceries stuff, and may be another trip to make to the bank(but may be Jan will be a good soul and will do that, grin...). I don;t have a clou yet what to make for dinner today, but there are some new recipees I want to try out, so may be I pick one of them. If so, and it turns out to be good, I will write it down next time, okay? The weekend I was rather creative, ROFL, and finished a second Christmaskit (! ), and also a "general kit", and almost finished a 3rd Christmaskit too! Whoopee, I am happy about that. I always like to have several Christmaskits and preferably in different colorplattes, and I think I am on the right track. Just read on teletekst that perhaps end of next week, the new coalition for government will be ready with their negociations and then come out with their new program. Hmmmm, as I wrote last week, some measurements already are known and they don;t bring a big smile to the face, and I suppose that it will not become any better when we will now of all their plans for the next years. One thing is for sure, in general life will get more expensive(they give some tax reduces e.g. but take it away with the other hand and the taking seems always to be more than the reductions), people will have less money to spend, so it's about time Jan and I should win a nice prize in a lotery or something ROFL. But with our luck in such things, that probably won't happen. Oh well, let's hope that we stay healthy, because that is a great gift, and then all the other things will be dealt with in one way or another. 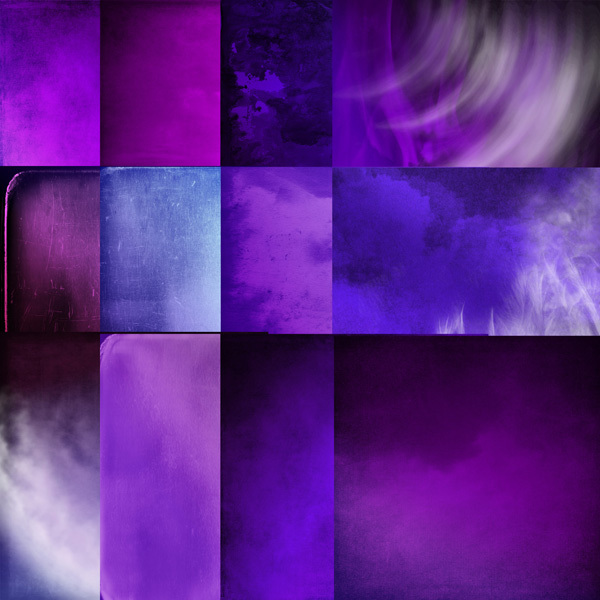 Enough chit chat done, time for another freebie, maybe that can brighten your day a tiny little wee bit. Today the kit is "Moments without Time"of course with lovely matching clusters from Arlene. Oh, I saw that the shoutbox is doing weird again, appearing and disappearing, I get nuts about those things. Okay, will take a look at shoutbox, if it's not better soon, I may have to change to another one. Sigh, hate that kind of thing, why is it so difficult to let things as they were if they worked well? Yeah, progress has to be made, I know, but it's not always a greater good LOL! Have a wonderful day, despite of my moaning ! Oh yeah, after some rainy and gloomy days, it's foracasted that the days to come temps will rise again to around 66 F and if the sun shines it might even rise to 71 F! Oh, if that should happen, whoopee! Oh my, Jan had an evening shift on Wednesday. Okay, nothing strange, he has many, but this one wasn;t so well planned or organized. He had shift from 18.00 till 23.00 , but he was home only at 15 minutes past midnight! Poor soul had a list of adresses that were very wide spread, when he went to one and then to the other, he had to cross all the quarter to the other far end and then back again for the next address and so forth. No, not a good planner, and you cannot change too much yourself in the route, cause there are scheduled times agreed with the customers. I was glad he had no shift yesterday(although he could have, for the evening,but I turned it down, yeah! as he had to work double today) and could recover a bit. Now today he has a double one, morning and evening, but they are normally not too difficult. And tomorrow he is free again. Of course it's a good thing he can work lots of hours, but he also has to take care of himself. We aren't getting any younger! As yesterday was a very lazy day(again), I have to do some things here. Washing machine is loaded, have to run the vacuum cleaner, and if there is time should get me some necessary things I only can get in town center. Hmmmm, we'll see if I can manage that, because have to give Jan something to eat before he goes to evening shift, and he has to leave home at about 16.15. And I have to make a few telephone calls too, so even if it doesn;t sound a real busy day, it all takes it's time. I already have made one Christmas kit, yes! And a second is almost ready too! 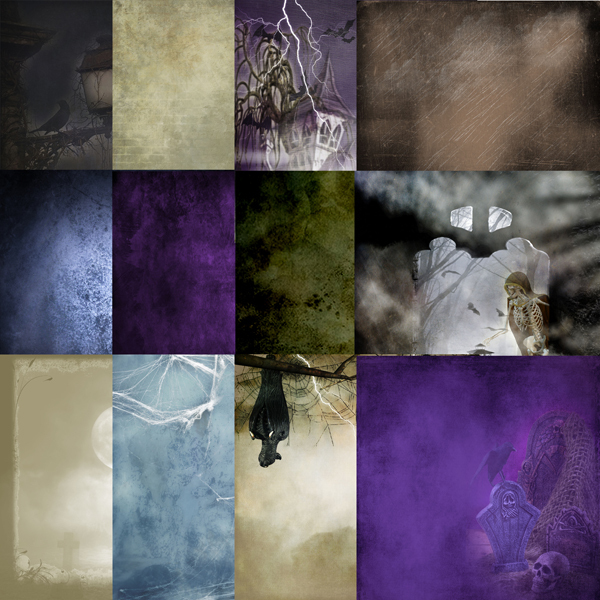 May be a little bit early start, but better that than throwing something together at the last moment. We still are without a proper government, you know. There is of course the Care taker Government(hope this is the right expression), but we are still waiting for the new one. The two parties that won the election, are still talking and negociating, and very little is coming out in the news till now. They have a kind of media silence, hahaha. Whatever they decide to be the policy for the next 4 years(if they make it through! ), it certainly will not be good for our wallet. Some things we know already that will be done. VAT for "luxury"goods has gone up from 19% to 21% and they are even thinking about 23%!! So for food e.g. it stays the same, but you aotice already prices have gone up. This has been effected from the 1st of October. This is only one measurement I am talking of! Lots more to come, to "fight the crisis". And then you get such nice news in the papers and on tv, like "Energy costs will go down next year, it will save averybody around € 80 a year on the bill. "(this because suddenly the energy suppliers were able to buy energy cheaper, yeah yeah) Okay, every euro saved is profit for us, but................in the last line of this awesome news there is said"it might however be a little less profit for the customer, because of course the VAT is going up. And as we say here in Holland, that is a case of making people happy with a dead mouse! We just have to be prepared to it, that life will get more expensive next year, wages will stay mostly the same. Only the "big guys" seem to be out of the "danger area"how strange is that? Before we all get too depressed, I better stop with this rambling, LOL, and go to the freebie for today. 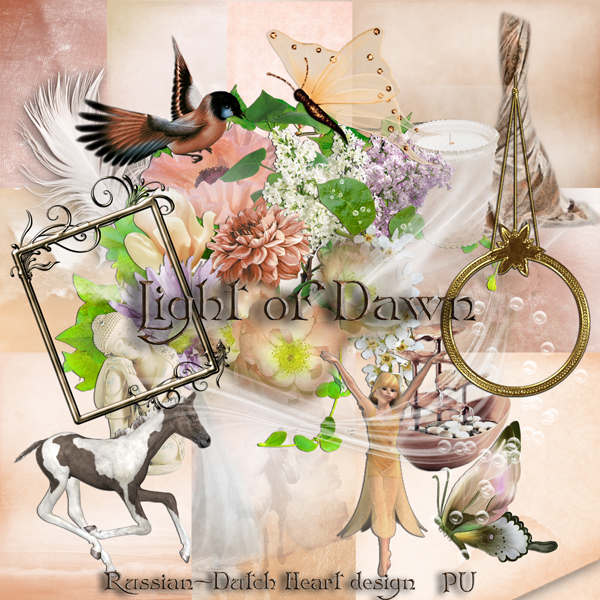 I thought we could do with a kit in some light color pallette, so I offer you "Light of Dawn", with of course beautiful clusters from Arlene matching to it. Now I just have to wait till it stops raining(yes, this morning it still is raining a little bit, but that should stop later this morning), and I can go out. Have a lovely weekend, thanks for the visit. P.S. 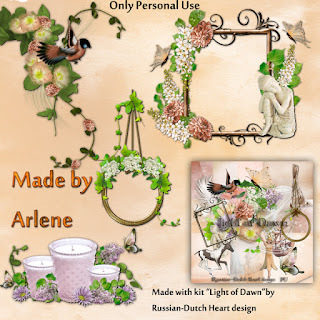 Almost forgot to mention that a visitor of this blog, has started a new blog(she already has a few LOL), where she offers downloads of tags and other things, a lot made with my stuff, how cool! For download you will have to register, don;t get afraid, it is just an easy registration, without tricks, only done to prevent as much as possible the piracy. 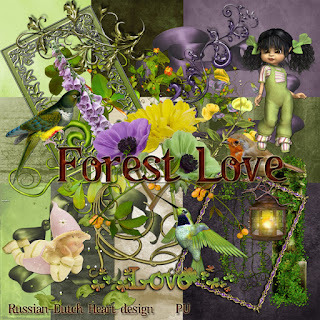 Take a look there and also visit her other blogs, you will be pleasantly surprised! There isn;t much to tell today. The days past by rather quiet, which is a good thing, of course. Monday jan and I both took a relax day, specially Jan needed that after a lot of shifts! Yesterday he had an all day long shift, from morning till about 16.00 in the afternoon. Well, I didn;t mind that too much, could do some things here, first went out shopping in the morning and when I was just ready with unpacking and had things ready to start preparing already our dinner for a part, Jan came home for a quick visit. He just had time to eat his sandwiched and drink a cup of coffee and off he went again. 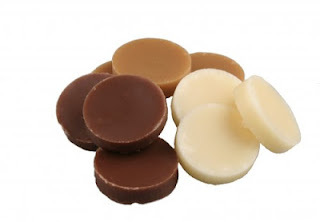 This is for 4 persons, but easily can make it for less or more. Peel the potatoes, cut them in some big chunks and cook them in water with a bit of salt. Put a stew pot or something like it on medium fire and melt the butter. Peel the onions, and cut them in not to fine chunks. Take the celery stems apart, wash them, and then cut them in nice chunks, not too fine, not too big, and if there is some leaf on it, cut that too. Put them with the onions and let it braise for about 10-15 minutes. Keep stirring regularly. Onions may color a bit, celery should still have a "bite". In the mean time potatoes should be ready, put away the water and mash them just a little bit. You should end up with still some potatoe parts, it shouldn;t end up in a fine potatoe mash! Then add the sour cream, bit by bit, stir all, taste, add if necessary some salt and pepper. In the recipee the cook made it with some salmon filet, cooked in the oven. But you easily can take something different with it. I had chicken liver with it. It's a quick made meal, but it tasted real good and is a change now and then. Today's kit is named "Forest Love". I think it's has nice colors for this time of year. 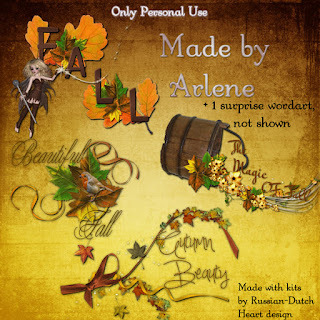 And you should see the clusters Arlene made with it. I really like the page border she made, fantastic! Today Jan has evening shift, so I don;t think I will do much during the day(again LOL), but should try to get hold of the owners of the top appartment, to make an appointmetn with them so that we all can take a look at the gutter at the roof. I think the main problem comes from there. Sigh, boring but neceassary. Don;t want to talk much about it at the moment. Oh my, Jan's mobile is beeping again, probably messages from the agency that they changed his working schedule. Well, no problem, we'll take a look and confirm. They are trying very hard to give him lots of shifts! Now I am off, have a lovely day, lots of scrapping pleasure! Rain, rain, stay away for a while! We definately arrived at raining season. I don;t mind that so much, as long as it isn;t raining days and days. But at the moment I don;t like it at all, because then we have raindrops inside too. Yes, I know, boring story, our leak. But now Jan seems to have figured out from where it all comes. So today we will try to get hold of the owner of the appartment above us, that's first thing todo. Then fixing it, should be a joined project, but not all to difficult or long term. But it might also be caused partly by the raingutter at the edge of the roof. I hope the owner of the appartment above us, can take a look there, we need help of the owners of the appartment at second floor for that. Hopefully it's just a case of cleaning it, of minor repair. If not, we need to call a plummer for it and then it will ask some money from all of us. But I truly hope that will not be necessary! Well, enough of water talk LOL. It will be done with some day! It was working weekend for Jan again, Saturday he had morning shift, and could relax the rest of the day, but yesterday he had double shift, one morning and one evening. All together he was rather lucky with the rain, till yesterday evening. He came home a bit soaked, LOL. Quick change of clothes solved that, and then some relaxing time at the couch. I am glad he has his day off today! Tomorrow he has to start with a double shift again, morning + afternoon, so he will be away all daytime. I am proud of him, he is working a lot, taking some double shifts if they are offered to him, I sometimes need to hold him back a bit. Yes I know, the money is welcome, but he has to look after himself too, so it's a good thing sometimes a days comed by, there is not work for him, which is an extra day off. When Jan was at work yesterday, I did do some things myself. Changed the bedsheets, and did the ironing of the dry laundry. Good I did, cause today a new load should come out. That will be all for today, I think I will take the "day off"together with Jan and have all the time tomorrow to run around the house and go shopping etc. 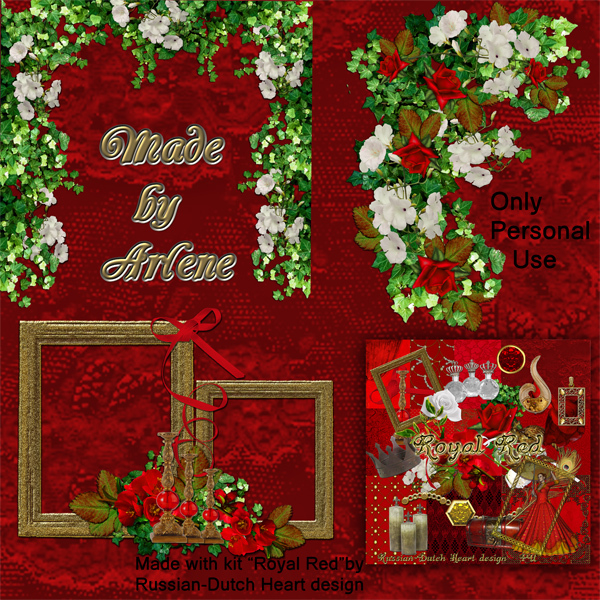 I just came from my friend Snowy's blog and read she already has made a Christmas kit. Wow, she's quick! I know she has done that becauese in December she is going to the US again, but still it's real early. By the way, you should take a look at her blog, she has a great freebie for you! Still, time is running fast, so may be I should at least think about a Christmaskit. Could be fun, and change a bit of the "regular"thing. Who knows, may be today is a good day for it. 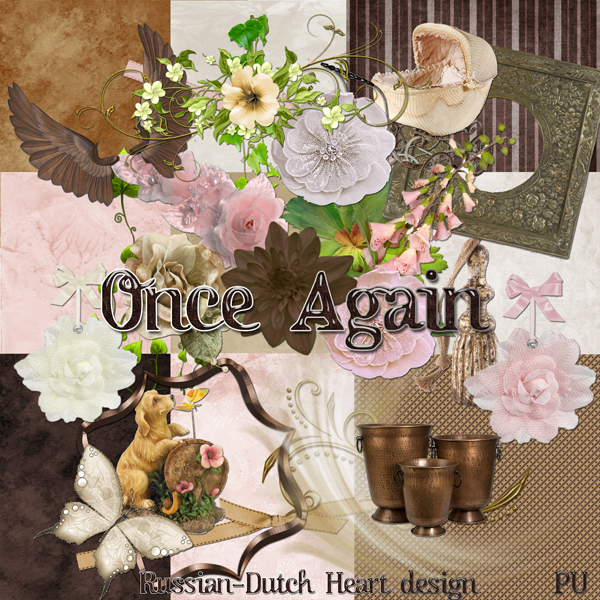 Freebie for today is a kit named "Once Again", together with matching clusters from Arlene. Wednesday we did go to the market, as Heidi phoned me, that she couldn't make it, Jan and I went there in the afternoon. It was nice weather and oh boy, we came back with some stuff! And we also saw some trousers for Jan, very nice ones and very low priced, and I also saw a couple of fantastic sweaters for him. So he might go there next week and buy himself the trousers and hopefully one or two warm sweaters, then he is "ready"for the winter and longer. But we went there for the veggies and we did buy all kinds. We came home with a red cabbage, about 2 kilo's of brussels sprouts, two big portions of carrots, a couple of leak stems, about 5 red paprika's(the long one, they are sweeter), a kilo of apples, kilo of bananaa, kilo of onions. All this for 1 euro each! Now thats a lot cheaper than in the supermarkets, believe me! and all fresh! So yesterday I spent several hours in the kitchen, chopping it all and giving it a quick cook, just to boiling point, leveing it there for a minute and then out of the water. While one was getting boiled, I was busy chopping the other etc. In between I even found time to prepare dinner for the evening. Then it all had to cool down, then I made portions of it and somehow managed to get it all in the freezer. We calculated that we have for about 3 weeks veggies now. It is some work, preparing it all for the freezer, but it really pays off. Leak isn;t showing the last couple of days, but........today it is raining(at least at the moment) so we will have to keep an eye on the spot, and as soon as it might start we will have to call our neighbour. It will be easier to determine from where it actually comes. Jan is working this morning so that gives me opportunity to do a bit vacuum cleaning and may be I will do some ironing too. But after the busy day I had yesterday, I think I won;t do all too much LOL. Before going to the freebies, I have to tell you that Linda has made two marvellous quickpages with the Autumn Brings beauty kit. Now the freebies. I've made you another photo album, of which I hope you can really use it. 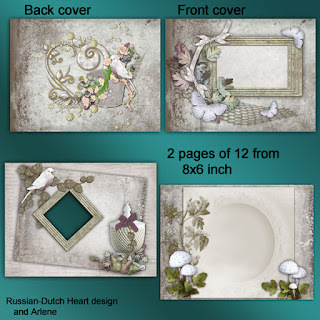 It's made with a different page size, this time I've made them 8 x 6 inches. 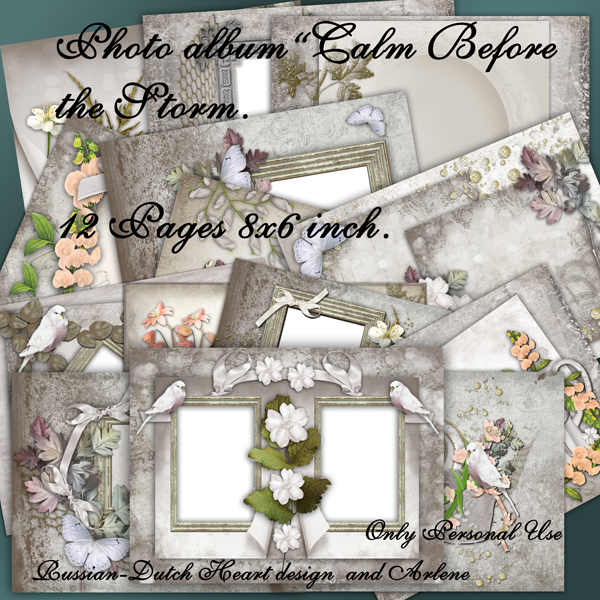 The photoalbum is made with the "Calm Before the Storm"kit and also the clusters from Arlene.I have a preview of the whole album and a detailed preview of two pages and the fron - and back cover. wordart in it for you too, it's not showing on the preview! Still a bit gloomy outside, so I think I stick to the computer for a little while longer and then get busy. 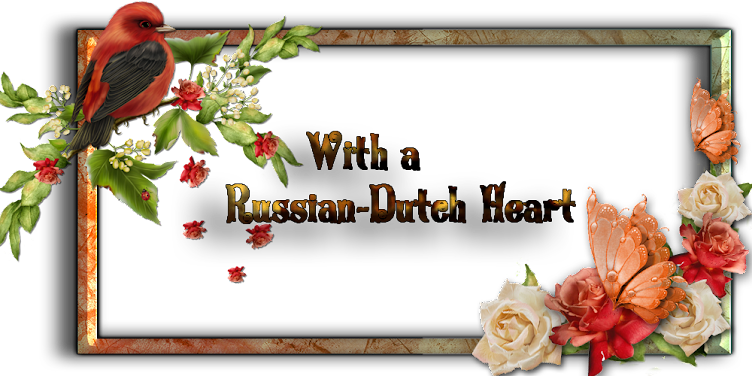 With Jan at work this morning, it is quiet in the house, which I don;t mind so much, LOL! Oh, I got up later this morning, all due to Jan. I think he woke up just before the alarm went off and he shut it down, so I slept through. Isn;t that nice of him? But when he comes home I first will tell him, that he shouldn;t do it and then say it was nice of him ROFL. Had a mail from Arlene, that she had a bloodtest result and it seems she is a diabetic and also suffers from a bit too high cholesteral. Hmm, not the best news, but it probably explains why she was feeling sick and terribly tired. Let's hope she soon can work out with her doctor a treatment for it and that all will go well again. Our leak isn;t fixed yet, but for the moment it is dry again. It should be something caused at the balcomyies of our neighbours upstairs, but we can only see it when it is raining again I think. Well, some day it will be fixed, hopefully without too mucht costs. We stay optimist!! The last couple of days it's real nice autumn weather, good to be outside during the day. So I went to town center yesterday morning, to check out a new shop there, with all kind of things for cheap prices, and yes, you can find a lot of nice stuff there. I stayed cool and didn;t buy anything there!!! But I bought myself a new pair of trousers, I really needed them for the winter, and for a really cheap price too, together with a sweater. I was all happy about it. O gosh, in between posting here, I got a phonecall from Heidi too. We planned to go to the market this morning, but she cannot. She has to deal with all kind of things concerning her parking licence(she has a special one), and municipal department for parking stuff is doing difficult, so she has to make new arrangements with them and the car insurance company and so on. Oh, all those regulations and laws and so on are not easy to understand and deal with sometimes! Okay, have to leave you know, I have things to do and time is running. It's a bit hard to choose from all the kits I have "in store"at the moment, really! But I've decided to give you another Autmnal kit, named "Enchanted Autumn Time" and I just ADORE the clusters Arlene made for it!!! 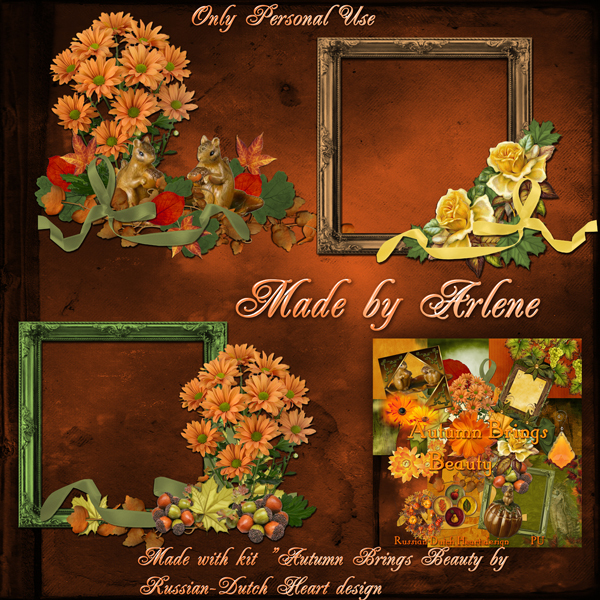 Oh, speaking of Autumn stuff, you should check out Mat's new clusters and also yesterday Edna posted a new part of her monthly freebie. 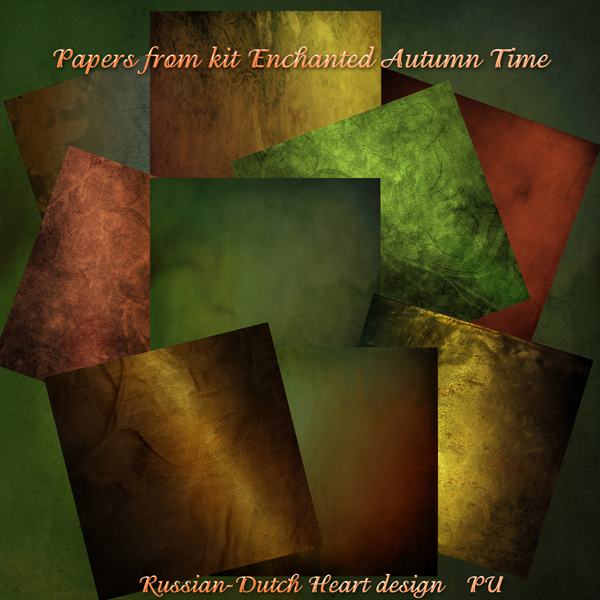 I give you a preview of my kit together with a preview of the papers. 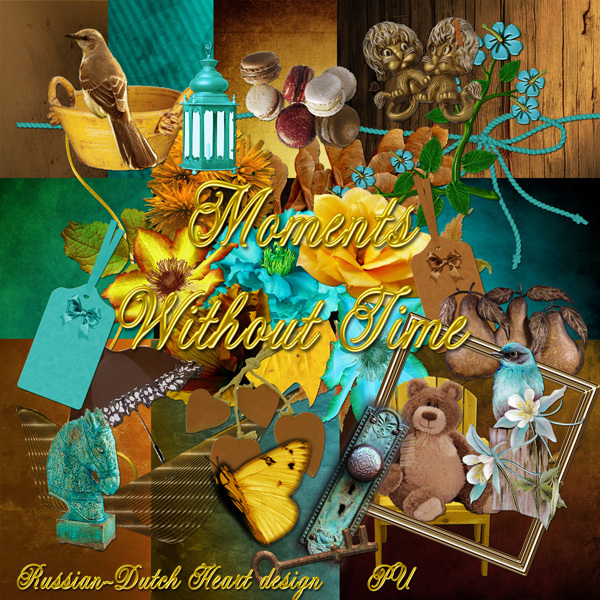 I hope you can have a lot of fun and beautiful layouts with this kit and clusters!! Gosh, it was a bit wet during the weekend. And then I mean outside and inside too LOL. Outside I don;t mind too much, but inside isn;t so funny. One good thing, yesterday it was dry and so it was in our kitchen. And I was lucky to get hold of the owner of the appartment, and he came yesterday to see what was the matter . Now he promised us to come by today again, and then first pour a lot of water on the balconies, to see if the trouble is coming from there, and if not it has to come from another place. Still I am glad he is cooperative and hopefully it soon will be over. Then the part of the wall has to dry out first, before I can give it another coat of paint. Apart from that it was a rather quiet weekend, with Jan working most of it. Yesterday he had a rather long day, leaving home at about 7.15 morning and coming home at 15.45 afternoon. Had to figure out something for dinner, and wanted to have a bit different thing, so I decided to eat fish. Found a couple of recipees on internet and I prepared my fish filet with a mix of two recipees LOL. But it was very tasteful. You should try this out. Take two filets of pangasius(but you could take also some cod for it). If you have the filets deep fried, first let them them thaw. Recipee is for two filets. Take an onion and cut it in thing slices, take a tomatoe and cut it in half and then in slices or take whole cherry tomatoes. Cut one or two cloves of garlic, cut them real fine. Then take the filets and put on pepper and salt and rub them in with some pesto. Rub in a baking dish with some oil. Put in the filets, cover them with the garlic, tomatoes and onion, put on some fresh basil leaves, (or take some dried herbs, as basil, rosemary, thyme, parsil). Cover the whole with a bit of grated parmesan( or another cheese that you have at hand). Pre-heat the oven at 200 degrees C, and then put in the dish, covered with some aluminium foil. Leave it in the oven for about 15 minutes and then take off the foil. Let the whole stay in the oven for another 5-8 minutes. All together it should be in the oven for a 20-25 minutes, depending of the thickness of the filets, check if they are well-cooked. Then take them out, on a plate, serve with some roasted potatoes, or masched potatoes, a bit of salad and voila, a tasty meal, easy to make. Miriams's blog, where Mat has posted them. I just came from there and was happy to read that Miriam is doing allright, she just is still having terrible inter problems ad becomes very frustrated by it, according to Mat's post! Arlene has sent me another bunch of clusters, the sweetie and she made them while she wasn;t feeling all too good. She had been feeling sick for a couple of days, still not all gone and is also very tired. Let's hope it will pass soon again. Told her perhaps a checkup by her doctor could be a good idea. It is looking not bad outside, temperatures are around 57 F at daytime, so a bit fresh, but the sun is coming out and there isn't much wind, so all together it could be a nice day. Perhaps I will go out this afternoon, have to go anyway to deposit a bill at the bank and post a card, but it's much nicer to do so with nice weather. Well, freebie time now I guess. Today a kit in my favourite color again, yeah, and it's named "A Smile Works Miracles". 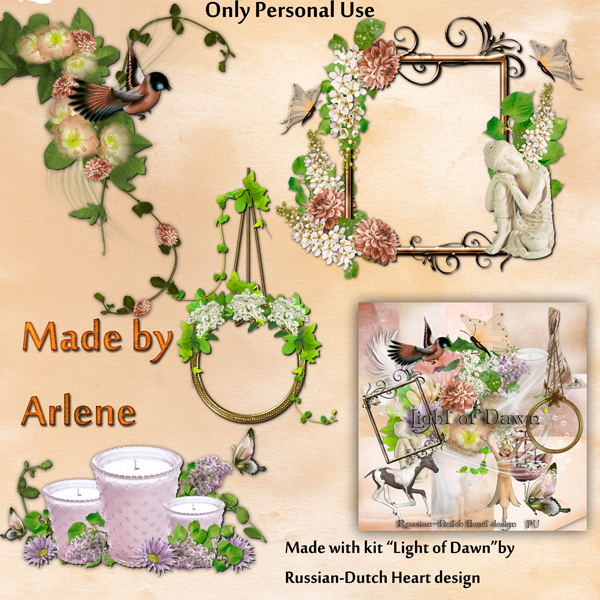 And they are accompanied by matching clusters from Arlene. Have all a very good Monday! P.S. I noticed that the Shoutbox is not showing up at the moment,hopefully it will only be a temporarly issue! As you can see I changed my bloglayout again. 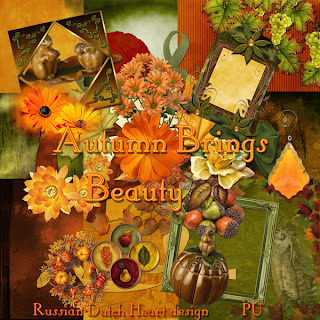 I thought it was up to a seasonal layout, so I used my kit Autumn brings Beauty and for the header a cluster by Arlene. I had time for it yesterday evening as Jan was working evening shift. 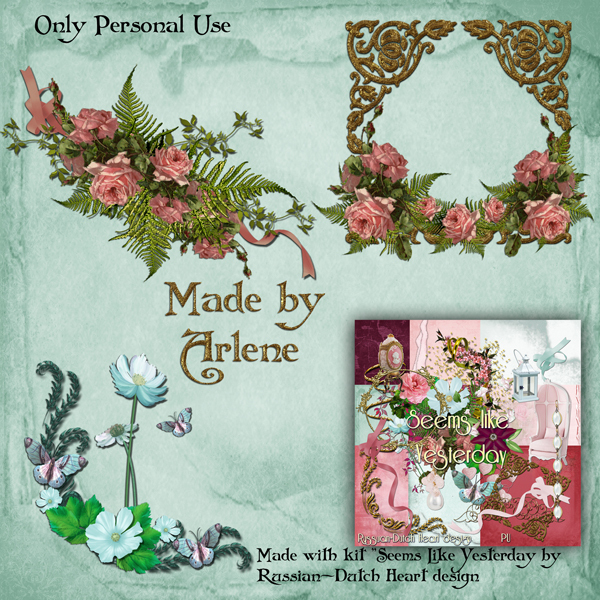 I also started making some pages for probably a photo album ( a "solo"project, but I want to do also a ohoto album together with Arlene some day). Then later I watched soccer matches, yes I like that, and also good they were on, because it was really hopeless on all the other tv channels. There are some days, that you almost cannot find a nice thing to watch, hoorray then for dvd and/or video! Rejoice with me, ROFL, we have again some leak in the kitchen at the ceiling, it's the same we had before, and should be coming from our neighbours upstairs. For a while it was okay, but I know they were changing again some things and probably that causes the problem in a waterpipe line So Jan went up to them to tell them and ask if they could fix that finally. The tenants promised to wanr the owner of the appartment. I hope they will do so and that he comes over quickly, and that it will be fixed. It can happen at times, but if it lingers too long, it ruins my wall and paint and slowly even a bit my cupboard. Well, may be he will come today, hopefully when Jan is still home, I like to have some support, hahaha. Weather isn't looking too good today. I see a lot of wind and it will rain too. Not a good day to be outside, but I will have to, because we are lacking bread for one, and some other stuff. Hmmm, I hope that later this morning weather will brighten up a bit. Also not a good thing for Jan, who has to work this evening. With this kind of weather, he could use the moped from Heidi, it doesn;t prrotect him from the rain, but surely helps in moving around. On a bike with fierce wind isn;t the best thing you could wish for. 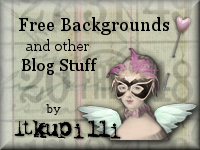 I am runing a bit late today, so enough rambling for today and let's skip to the freebie. 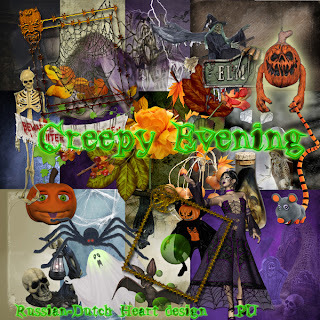 End of the month will be Halloween so I thought I post my Halloween kit "Creepy Evening "today. I hope you will like it, I tried to make a bit different than ordinairy. I'll give you also a preview from the papers, although you still have to look at them in your grapics programm to see them reallly good. 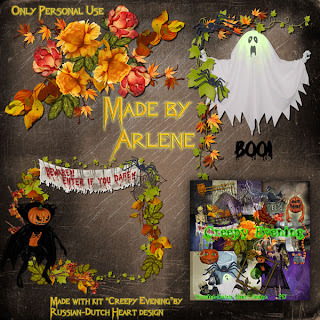 Arlene made some matching clusters for it. Okay, I am off now, wishing you a terrific weekend! It really is a bit gloomy outside at the moment. Rather fierce wind, cloudy, and there's expexted rian too. I pitty Jan, cause he had to go working this morning, he got this shift at the last moment. Hope he can travel a bit trhough the rain showers. Monday I went to visit Heidi, just for a talk and to tell her about Dikkie. And she told me that when she said it to Séverine, she was really touched by it. But all together it was a nice time together, girls talk, you know. Heidi told me she was looking for an electric bike, because her mped she is driving with now, is a bit heavy for her. So when I heard that I asked Jan if it wouldn;t be a good idea to take over the moped. It would make his work a lot easier, specially when the winds are blowing hard in this time of year. And he agreed it would be a great thing. I told Heidi and she agreed( and also thought already about it) that Jan had first option for the moped. I have no idea what price she will ask for it, but I am sure it will be reasonable, and she even said that we could pay in parts. Isn;t that nice? Then I got a not nice phonecall yesterday from a neighbour of hours. We didn;t have much contact, but we talked when we met at the door, and later we even got a key, in case she needed help(she is disabled, and we could help already once when she was in trouble). But last year she broke her wrist and was placed in a care home, and later she also got a new hip. But all lasted and lasted and yesterday she called me with the message she had cancer, leukemia. That was quite a shock, of course. She will go to another home next week I believe, specially for that kind of patients. I will hear a bit more about it when she is settled there, but it's possible, she will not be there for a very long time. I hate those kind of messages, and it seems as if in this time of the year you hear more of them around you then in other parts of the year. This week Jan is working almost every day an evening shift. Only today is a morning and Sunday a looong morning shift. I like it better when he works mornings, although it is early rising then, but then during daytime I can do things in the house( I am much more active with that when he's not home LOL), and it's coseir to watch tv together in the evenings. But it comes with the kind of work. I am already glad that he doesn;t work nights! Oh, we have a new doorbell, Jan found one for a very nice price, so that's done too LOL. Let's see how long this one will stay working. 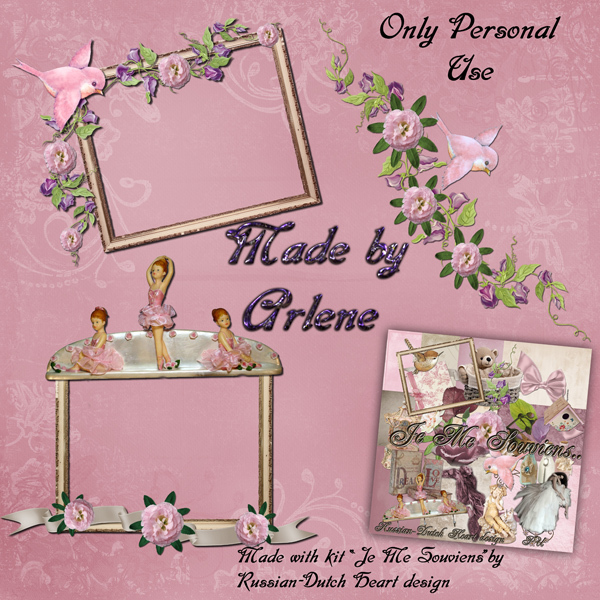 I am still in a good designing mood, hoorray, have a lot in stock at the moment. 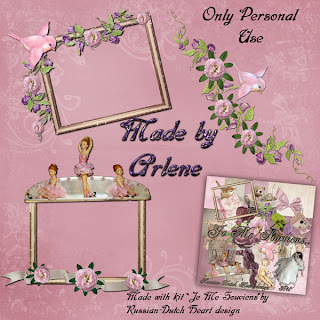 Oh, have to tell you that Linda has made a wonderful quickpage with one of my kits, in sumptious dark pruple! Well, I am in doubt if I will go out today, it isn;t looking too good. Gives me opportunity to do a bit in the house and I can do some computering this afternoon. 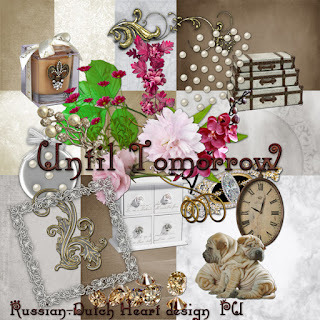 Tomorrow it wil be hopefully a little bit better outside. We'll see about that. Now time for a freebie, I suppose. 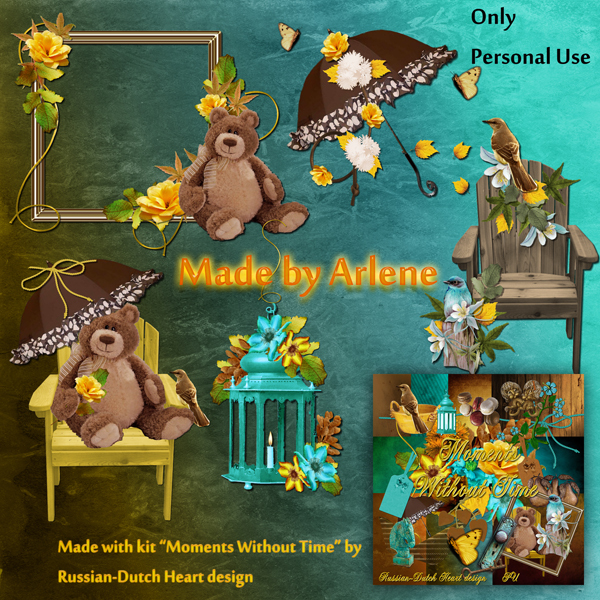 This will be an Autumn kit, named "Autumn Brings Beauty"(and it sometimes does, when all the leaves are re-coloring and sometimes the sun is shining! ), with matching clusters from Arlene. Hopes for a better month to come! September played some real nasty tricks on us! Jan,s bike stolen, iron no t working anymore, new one bought. 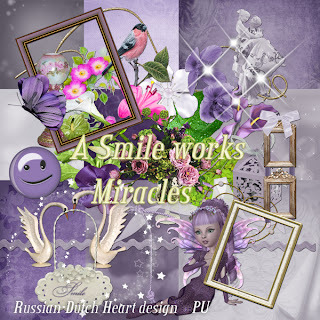 Then all the misery with Dikkie Dik, some other small things I even do not bother to mention, all together in one month. And now Jan has a strange spot on his leg, that even disturbes him, (first he thought it was just a bad bruise, but it didn;t go away, and has a strange shape and colors) so he goes to the doctor this morning. Oh yes, our doorbell "died"also, it's one wire free, but changing batteries didn;t help, so I'll have to buy us another one. That in short was it all I think LOL. Enough is enough for a while! Let's hope October will not play tricks on us ad that we get back into our "boring"life, oh I cannot wait! The weekend was quiet, thank God, although not so much for Jan. Saturday morning he had a shift, so that was still allright, but yesterday he had a double one. Morning from 7.30 till 13.00 and then evening from 18.00 till 23.00. All together long hours! Glad he has a free day today, and if nothing changes, he starts wrok tomorrow evening, gives him another day to take it easy, hopefully! During the weekend I was busy on a new kit, and I was adding and adding and I think it will need two downloads, I better split the kit up in two files, easier to download. Soon I should start slowly on making some Christmaskits again! I know everybody is thinking. "oh, that's still far away from us"......... but nothing of that is true! Believe me, you will be busy with decorating and planning dinners for it and already I'll give you advise to search for presents now. Perhaps you can buy some in a sale, and it will keep away the stress LOL! I am thinking of calling Heidi later this morning to see if she has a moment today, so I can pay a little visit. It's about time we see eachother again and I still have to tell her about Dikkie Dik(it first was her cat, just like Brodski). Then I also must spend some time on the ironing board. Oh my, how quick the heap of clean clothes can grow? Hmmm, I think the doorbell has to wait till tomorrow. Lucky we live groundfloor, we sticked a little note next to the door, telling people bell isn;t working and they have to knock on the window. If we lived on 1st or 2nd floor, that would have been difficult, hey? Then I should have put a ladder LOL! Stupid little joke, I know, but sometimes I have to much fantasy and then I see those things happen in front of my eyes. 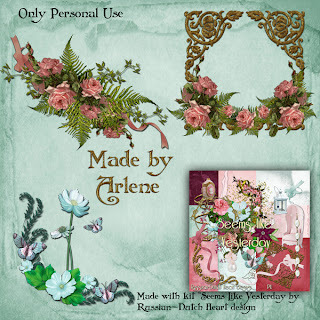 And it's again freebie time, and yes, I have a kit with matching clusters from Arlene! 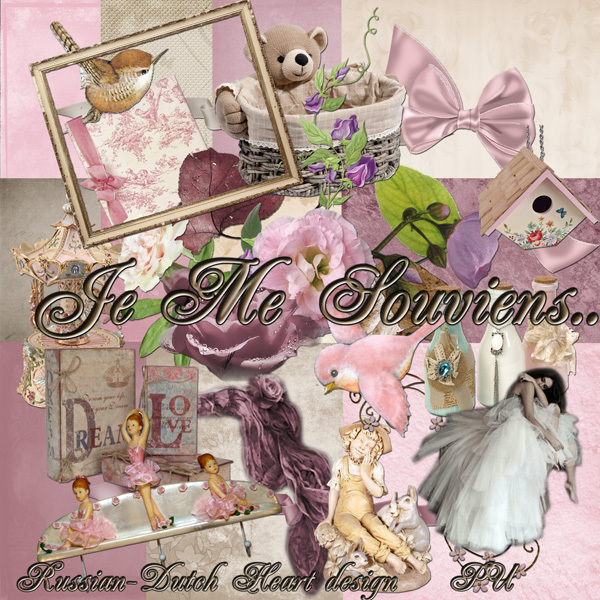 The kit is named "Je Me Souviens..." (I Remember.......), in nice soft colors, and can be used for a lot of things. 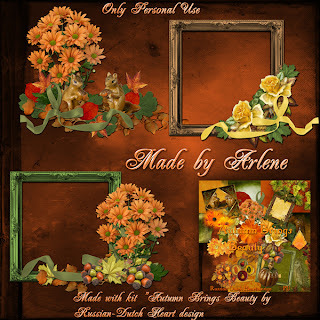 Oh, I also have some more Autumn kits, but that will be for later this week and soon I will post my Halloween kit. Okay, Jan is almost ready to go to the doctor, I hope it will be a minor thing, to solve with some pills or cream or whatever. Then I will jump under the shower and then call Heidi. Yes, once again I want to thank everybody for their sweet support and all during the last week concerning Dikkie Dik. It was a heartwarming experience, but I knew we scrapbook friends are nice people! All of you, a big "thank you"hug from me (and from Jan too). 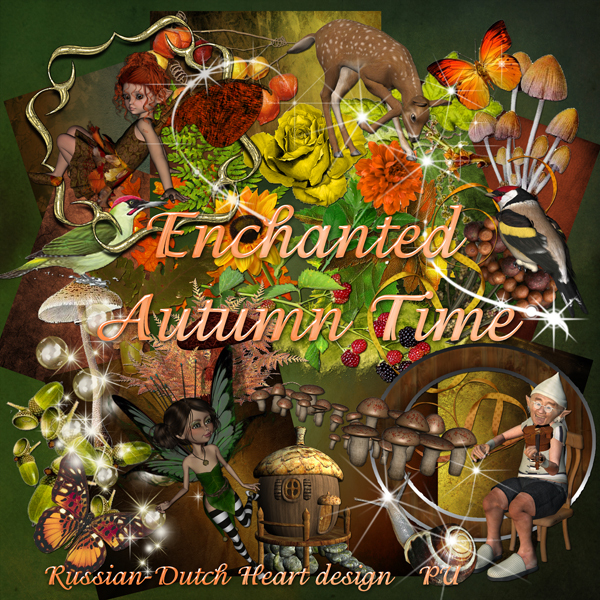 Have a nice day and good start of October!